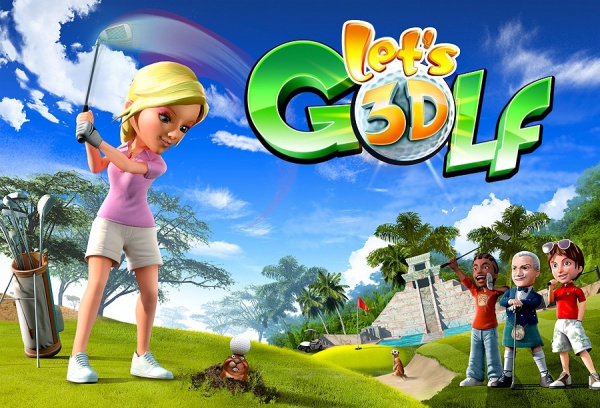 Pick from 8 unique characters, each with their own special powers and play on 108 holes in 6 far-out 3D locations like the Mayan jungle. 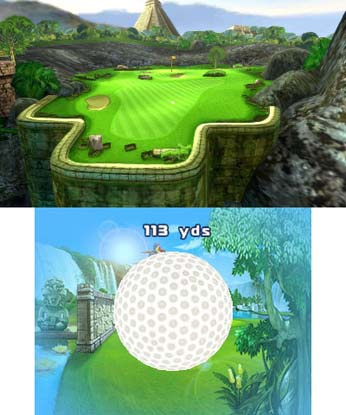 Thanks to the 3D Screen, you’ll see the distance to the green and your ball trajectory like never before. 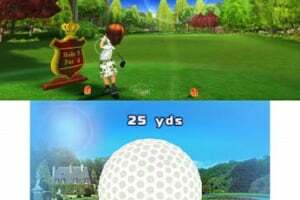 Unlock new gear like hats and clubs to customise your character and unlock new powers as you gain experience like rewinding time. 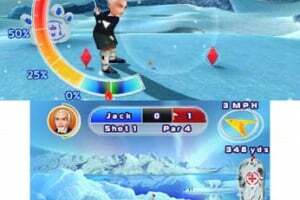 You can even grab a friend for exciting multiplayer matches on the same Nintendo 3DS system to share the fun! So this is for 3ds ware? 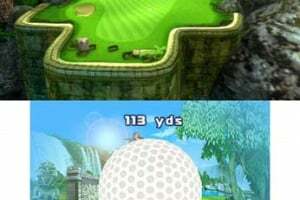 Glad I saved some points, I do love a bit of golf, can't wait for a Tiger Woods 3D installment, and a Pangya or Super Swing. I have to say, this game looks absolutely beautiful, and with online multiplayer.. Instant purchase for me. this game has no online, not buying it! Even without on-line, this game is great. Well worth £5.40. 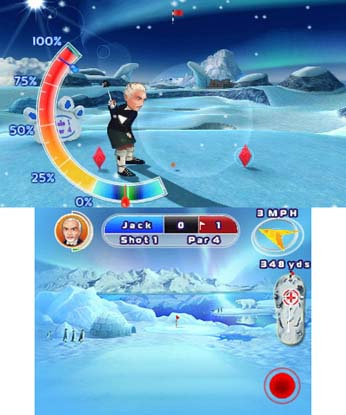 @winter123 You can use A to stop the power meter and hit the ball, and select clubs with Up and Down on the D-Pad. @James i believe he was talking about using his HTC evo 3d, not the 3ds. @Bossmank Whoops, so I see Just wanted to let him know with the 3DS version the option for buttons is there Review should be up soon! This game is addicting! I hope alot of people buy it just so we can get more 3DSWare, and it also helps that the game is great lol. you know what, i just changed my mind. I think im going to buy this title. I was surprised when IGN gave it a 9.0! 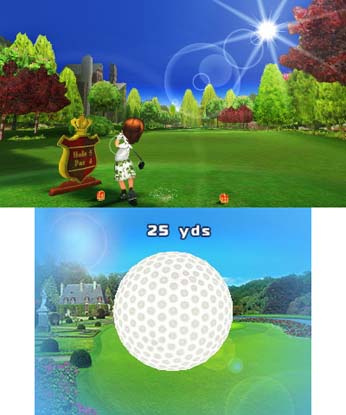 This doesn't look anywhere near as fun as Hotshots Golf does!